A new trailer and posters for the upcoming true life drama. 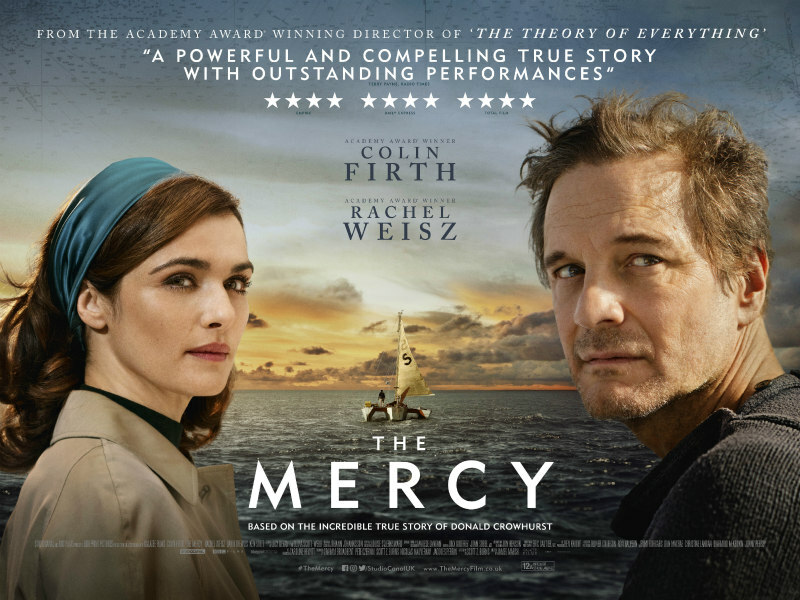 Colin Firth and Rachel Weisz star in The Theory of Everything director James Marsh's The Mercy, which tells the true story of amateur sailor Donald Crowhurst, who in 1968 attempted to become the first person to circumnavigate the world unaided. A new trailer, quad poster and two character posters have been released by Studiocanal. 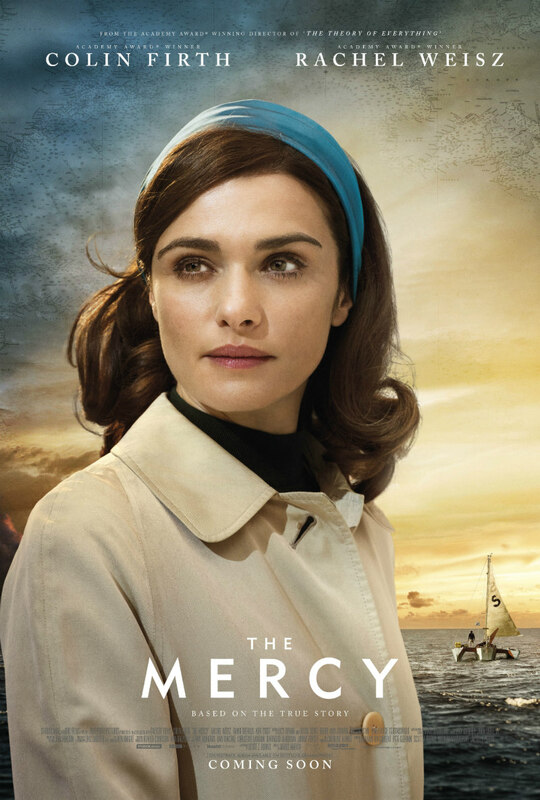 The Mercy is in UK/ROI cinemas February 9th. 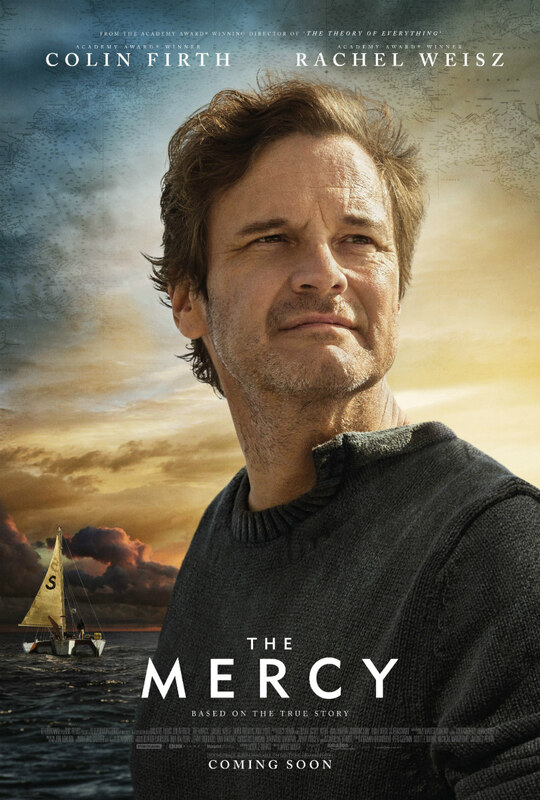 Following his Academy Award® winning film The Theory of Everything, James Marsh directs the incredible true story of Donald Crowhurst (COLIN FIRTH, The King’s Speech, Kingsman: The Secret Service, The Railway Man), an amateur sailor who competed in the 1968 Sunday Times Golden Globe Race in the hope of becoming the first person in history to single-handedly circumnavigate the globe without stopping. With an unfinished boat and his business and house on the line, Donald leaves his wife, Clare (RACHEL WEISZ, The Light Between Oceans, The Lobster) and their children behind, hesitantly embarking on an adventure on his boat the Teignmouth Electron. Co-starring DAVID THEWLIS (Anomalisa, The Theory of Everything) and KEN STOTT (‘War & Peace’, The Hobbit), and produced by Blueprint Pictures (Three Billboards Outside Ebbing, Missouri, The Best Exotic Marigold Hotel, In Bruges), the story of Crowhurst's dangerous solo voyage and the struggles he confronted on the epic journey while his family awaited his return is one of the most enduring mysteries of recent times.